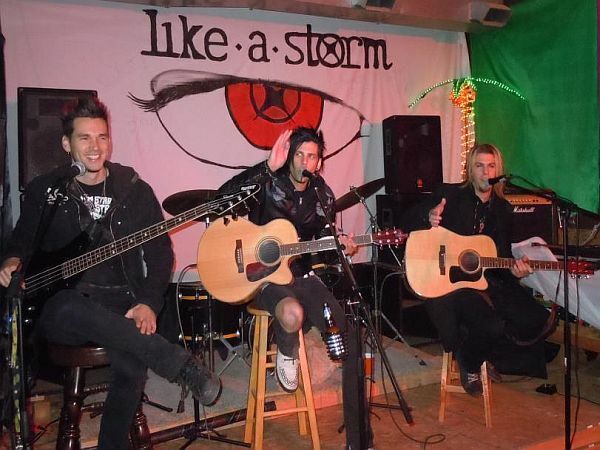 I recently had the great honor and fortune to sit down with band members from 'Like A Storm' who had come into Bay City, MI for a private acoustic show. I have given it a lot of thought as to why I am so enamored with this particular band. I like a LOT of bands and many different types of music. I have met quite a few nice and talented bands over the years. But, there is something about these 3 brothers, Kent, Matt and Chris Brooks, that struck a chord with me right out of the gate. Originally, I first caught this band back in late 2009, on a PBS show, called 'Strictly Global' which showcases music and videos from new bands around the world. It was a Sunday afternoon, I was dusting about my living room, the TV just on in the background, when I heard their haunting and hard hitting, 'Chemical Infatuation' playing. I was literally drawn to and mesmerized by the dark, edgy video and the captivating lyrics and stood in front of the TV in awe, the dust rag in my hand long forgotten. I immediately went and looked them up on the INTERNET and became a solid and true fan. Several months later, Bay City's new nightclub 'The Vault' announced that their Grand Opening, June 2010, would be headlined by none other than---that's right, 'Like a Storm'. It was an amazing high energy show, with hard hitting riffs and arm pounding crowd participation. Yet, what really struck me as well, was their 'meet and greet' afterwards. Their obvious connection to, and appreciation of, their fans was so evident. Almost a year later, I would be lucky enough to have them play a private acoustic show on their way back across the states, from their tour with Alter Bridge. Needless to say, the show was amazing and they picked up a horde of new fans at 'The Lodge', where we had them play. What is notable about this band, is their musical flexibility and talent to move thru heavy rock, to sweet melodies with heartfelt lyrics. 'Galaxy' for instance, was written when their grandmother back home passed away while they were in Los Angeles, CA, recording. Since they couldn't return for the funeral, they wrote a beautiful tribute to their beloved grandmother and the song remains one of my personal favorites. Also impressive is their range of musical talent on a variety of instruments. The didgeridoo, for instance, a wind instrument native to Australia, is played by Chris Brooks. (Listen to the podcast above for it's amazing sound). This recent return to Bay City, marks the second time I have made a commitment to do what I can to promote this talented band, whose music I thoroughly enjoy, but also whose genuine good character, I sincerely admire. Chris Brooks, left and Matt Brooks, right, always seem to be having a laugh. My co-hosts for the evening, Dan Szczepanski and his wife Jennifer Szczepanski, with the band. tunelab.com 'Most Fan-Friendly Band' honors. From left, Chris Brooks, Amanda Niemann, Sally Mayhew, Matt Brooks, Julie McCallum, Diane Szczepanski and Kent Brooks. Matt Brooks, singing his heart out to the appreciative crowd. Kent Brooks, left and Chris Brooks, right, kicking out another tune. The guys giving it all they got, as always. To bring their sound to the world, Matt, Chris and Kent Brooks, who hail from tiny Auckland, New Zealand, made the decision and the long trek half way around the world to base themselves in Vancouver, British Columbia in 2005. Their debut album 'The End of the Beginning, was produced by Mike Plotnikoff (Three Days Grace, Papa Roach, Buck Cherry, Seether) and Igor Khoroshev. The band's first single, Chemical Infatuation reached #43 in the U.S. Active Rock Top 100. 'Chemical Infatuation' was voted #1 'Hard Rock Video' 4 months running August 2010-November 2010 on www.ourstage.com. They also won the honor in April 2010. LAS was also recently voted the 'Most Fan-Friendly Band of 2011', in a heated competition on www.tunelab.com, beating out Avenged Sevenfold, Papa Roach, Alter Bridge, Framing Hanley and Crossfade. When asked about their devoted fans they admitted, "Our fans are amazing, we like to be able to connect with them on a personal level and by going out on a private tour like this, we really can". They are also currently #1 in voting for the 'Spark TV Indie Project and they were recently photographed and interviewed by Rock Photographer and legend Robert Knight, in Nov 2011. 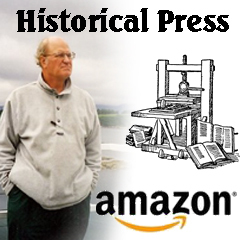 A visit home to New Zealand at the start of the year, resulted in producing a DVD while there. A unique idea to shoot an acoustic song, in a different scenic location in their native homeland, choosing settings such as NZ's largest lake, in front of a raging geyser. Or at the beach, just down the road from where Kent, Chris and Matt grew up. Thus, 'Southern Skies-Like a Storm Unplugged in New Zealand' was born. Everything about the band points to their continued rise. Their talent, dedication to their craft, their friendliness to fans, their hard work ethic, their musical and fine character standards they adhere to and that are so important to them, are all signs of their continued and increasing road to success. All these qualities should continue to serve them well, as they bring their talent and music to the world. They will soon wrap up their 50+ cities, private acoustic tour to head back into the studios to produce their second album. The guys will be back out on the circuit, hopefully in July 2012, for a full band tour. With our continued support of their efforts, Mid-Michigan will hopefully see them on the big stage around this area, before the year is out. You can also follow them on twitter and Facebook. Fantastic article Diane! Thanks so much for spreading the word about this wonderful group of young men and LAS!!! They really are as kind as you say and their music just grabs you and you are instantly a huge fan! Seeing them perform in person is so much fun and their comraderie with each other is great! Love their music....and I'm a 6x grandmother!! Chris, Kent and Matt are some of the nicest young men I have met. Their hard work is paying off and I see them becoming one of the top bands around!